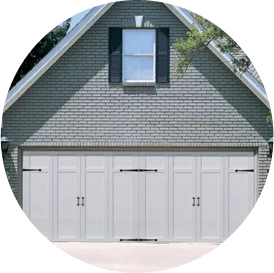 Whether you’re hoping to install new interior doors for aesthetic appeal, durability or security, the team at Overhead Door Co. of Burlington can help! We offer a wide range of interior doors that will compliment a variety of design and performance requirements. No matter your needs, lifestyle and budget, we can find the right product for your home or place of business. Want to learn more about our interior door services? Contact us online or by phone at 802-448-4752 today! At Overhead Door Co. of Burlington, we take pride in offering a variety of premier interior door products. Get in touch with us today if you’d like to have any of the following doors installed. For individuals who are building, renovating or redecorating, Masonite products are certain to beautify and accentuate a wide array of architectural home styles. Whether its custom textured glass or a simple pairing of maple and fir you desire, Rogue Valley Door has the perfect product for you. Visit Rogue Valley’s online site and select one of the Door product categories to include Custom Doors, Door Designs, MDF Doors and Millwork. Customize a design to your liking or choose from a variety of softwoods, hardwoods, and MDF treatments in traditional and contemporary styles. For centuries, wood has been the preferred building material of architects and homeowners alike (few products can match its beauty and elegance). Woodgrain Millwork has been crafting doors since 1985. High-technology manufacturing processes, coupled with select kiln-dried woods and other superior materials assure a product that will last for decades to come. Visit Woodgrain Millwork’s website to learn more. When repair services aren’t enough, interior door replacement may be necessary. Don’t hesitate to call our team of experts when you need new interior doors for your Burlington area home or place of business. You can depend on us to help make your home the best it can be. Call 802-448-4752 to speak with our interior door installers today!